We’ve have the biggest snowfall Washington, DC, has seen in four years, but today’s storm is only about half of the 28 inches that fell on January 28, 1922. 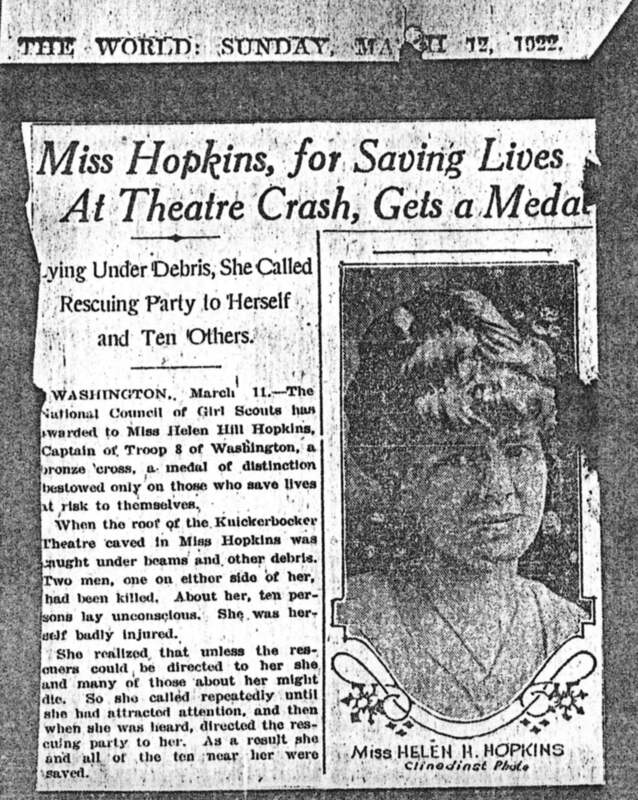 I recently found a new (to me) photo of Helen Hopkins Zelov, a co-leader in Lou Henry Hoover’s Troop 8 who helped guide rescuers to survivors of the Knickerbocker Theatre collapse. Her bravery inspired Carolyn Caughey to donate her Rockwood estate to the Girl Scouts. 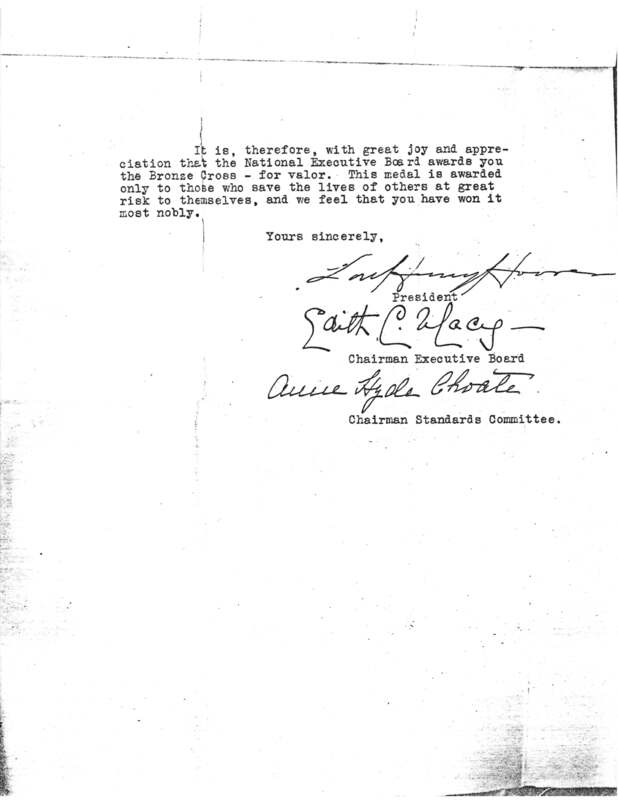 GSUSA letter to Helen Hopkins Zelov. 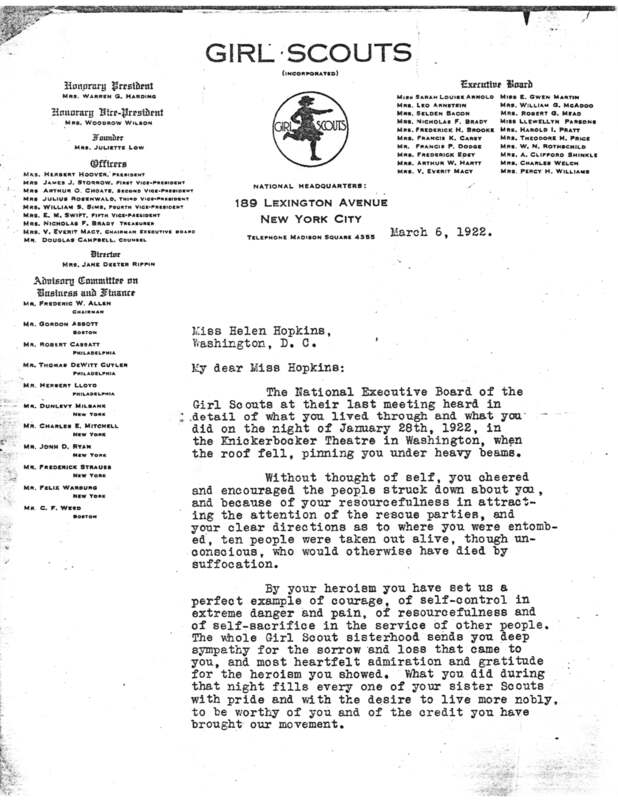 This entry was posted in Rockwood and tagged Girl Scout history, Girl Scouts, GSUSA, Helen Hopkins, Helen Hopkins Zelov, knickerbocker theatre, lou henry hoover, snow. Bookmark the permalink.